Q: Right now I’m working on Clarify thick Client 11.5. I need information like what are new versions available (details on new versions of thick, thin and smart clients) and nomenclature followed to represent a specific version of Client. How are they differentiated from architecture point of view? Where can I get more information of current updates, releases, versions of Amdocs Client? If we upgrade from thick to thin or smart client what parameters must be considered like DB used, version of DB and all. Since Clarify version 11.5, the following versions were introduced: ClarifyCRM 12.1, ClarifyCRM 12.5 and ClarifyCRM 13.1. As of ClarifyCRM 13.1, Amdocs changed its name and number to AmdocsCRM 6.0. (That means – both Clarify version 13.1 and AmdocsCRM 6.0 refer to the same release). AmdocsCRM 6.0 (Clarify 13.1) was the last version to introduce new functionality for Thin (Web) client). 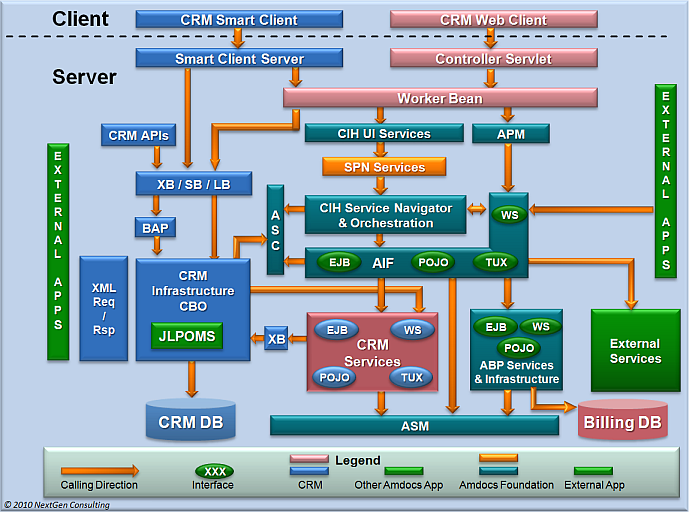 AmdocsCRM 7.1 was the first release that offered Smart Client (Java based client). However, the first fully matured Smart Client was released on release 7.5 (Italy). As of release 7.5.2, a multi language support was added on the database (Oracle) level. This is not supported by classic client. Note that since version 11.5 the Classic client releases have not added new functionality provided in both Thin and Smart Clients. 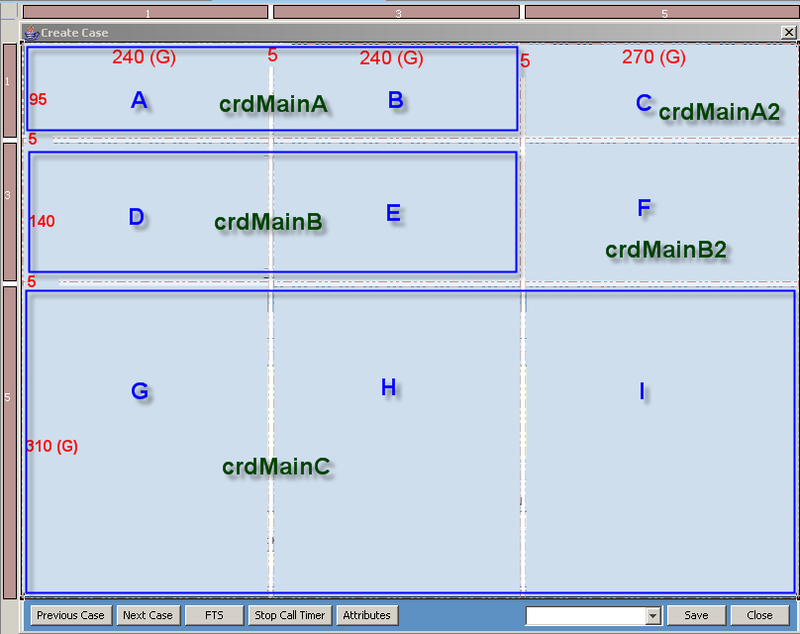 For example, the Customer Interaction Manager (CIM) module (call center agent’s main screens) is not provided out of the box classic client. Architecturally, Classic client is a fat client which connects either directly to the database (2 tier) or use Tuxedo as an intermediate layer (3 Tier). In both cases, all logic is performed mostly on the client using a Visual Basic 5.0 dialect named ‘ClearBasic’. MSSQL Server 2005 SP2 Standard J2EE Server. HP: WebLogic 9.2 MP1 with HPUX SDK 5.0.08 (32-bit) with Java HotSpot Server VM. IBM: WebLogic 9.2 MP3 with IBM SDK 5.0 SR5a 32-bit JavaTM. IBM: WebSphere 6.1.0.9 with IBM 32-bit SDK for Solaris, Java 2 Technology Edition, Version 1.5. IBM: WebSphere 6.1.0.9 with IBM 32-bit SDK, Java 2 Technology Edition, v1.5. Upgrading your current database to Oracle 10gR2 10.2.0.3 (AmdocsCRM 7.5) or Oracle 11g (AmdocsCRM 8.0). This might require possible changes in your data model (for example, moving from ClearCallCenter or ClearSupport modules to the newer Customer Integration Manager data model). Migrating your application logic from Classic Client to Smart Client. This requires updating your customized UI from VB to Smart Client SWING, and updating logic from ClearBasic to Java server side and client side. Since the older version of Clarify 11.x (or AmdocsCRM 6.x) and the latest 8.x version, how much has the underlying data model changed? My understanding is that Amdocs has not been making significant data model changes (new or modified tables/columns)..etc. Is that true? Secondly, what exactly (in summary) is this ‘ClearSupport modules’ to ‘Customer Integration Manager’ data model change that you mentioned? Does Amdocs provide a good packaged upgrade path/solution to move to newer versions? AmdocsCRM 6.0 is the same release as ClarifyCRM 13.1 (not Clarify 11.x). Note that between releases 11.x and 13.1 there were several releases, the most significant one was ClarifyCRM 12.5. Q: Does Amdocs provide a good packaged upgrade path/solution to move to newer versions? Upgrade your existing database software from Oracle 8.X to Oracle 10gR2 10.2.0.3 (AmdocsCRM 7.x) or to Oracle 11 (AmdocsCRM 8.x). Migrate (upgrade) your database scheme (data model) from Clarify 11.5 to AmdocsCRM 7.5. via Clarify 12.5, AmdocsCRM 13.1 and AmdocsCRM 7.1 (full details are provided with each AmdocsCRM release notes which specify the exact migration path). Migrate your customized UI and logic (code) from ClearBasic to Java (server side and client side). Q: How much has the underlying data model changed from Clarify 11.x to AmdocsCRM 8? The underlying data model has been significantly enhanced, both for the underlying technology and the provided functionality. New technical features were introduced to enhance performance, sizing etc. Support larger number of unique records per database table. The old objid primary key mechanism now supports the full 32 bits. Additional key named GUID was added to support unique record string id. Search field object mechanism was added to enhance performance (the search field allows user defined pop-ups to use be used by reference, in similar fashion to application pop-ups, rather than by value. All popup menus are referenced by ref_id rather than by their nominated names. Multi-lingual support was added at the database level. Ability to define a schema object (table or view) using SQL query. The old data dictionary compiling application (ddcomp) was completely rewritten for a much more reliable java code and is now called Schema Manager. The licensing scheme was greatly enhanced. You need a proper Amdocs license in order for your J2EE server side code to properly run. 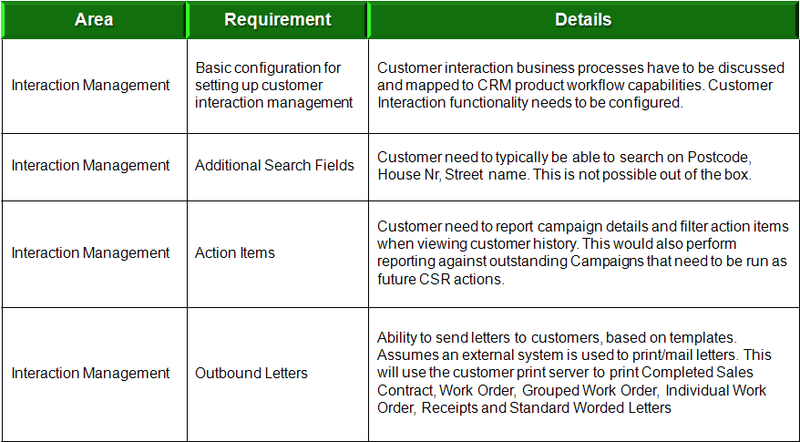 Most importantly, the server side code exclusively use CBO (Crm Business Objects) to access the data in the database. These CBOs were upgraded to use JPOMS, replacing the old POMS. 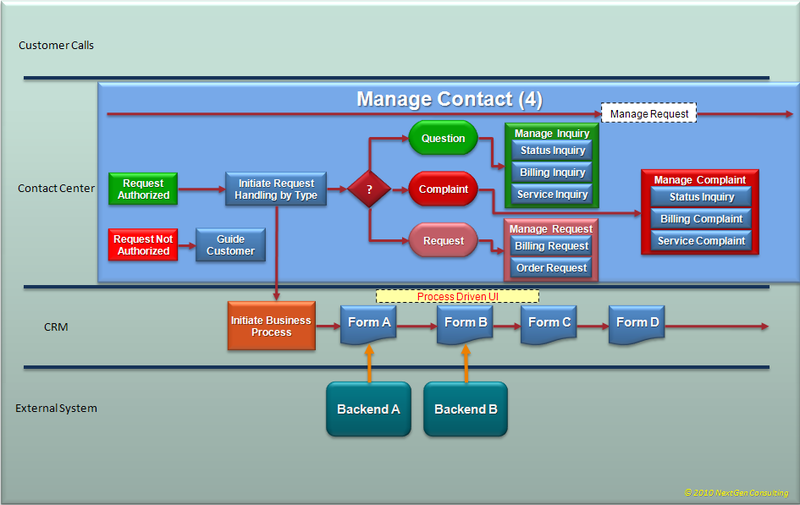 Clarify Process Manager (CPM) was replaced with Amdocs Process Manager (APM). APM provides much more sophisticated functionality, and can work with any other Amdocs products (it is largely used by Ordering). Smart Client technology now allows the front end UI to interact simultaneously with several backend applications. For example: CRM and Ordering. In other words: Both CRM and Ordering share e unified desktop front-end UI. Note that until lately (version 7.5), most these changes impacted the new J2EE technology, but still allowed legacy Classic client to co-operate with the same database. However, Classic legacy code was not updated to take advantage of the newer enhancements. Since Amdocs acquired Clarify, they decided that the Clarify UI (initially Classic, then Thin/Web, now Smart Client) to be used as a front end UI for all Amdocs Products. Initially, main efforts were spent for adding UI screens and logic to provide seamless integration with billing functionality. 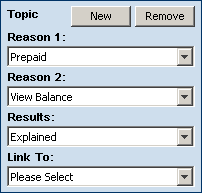 (Billing Manager module, support Amdocs Billing or any other 3rd Party billing). 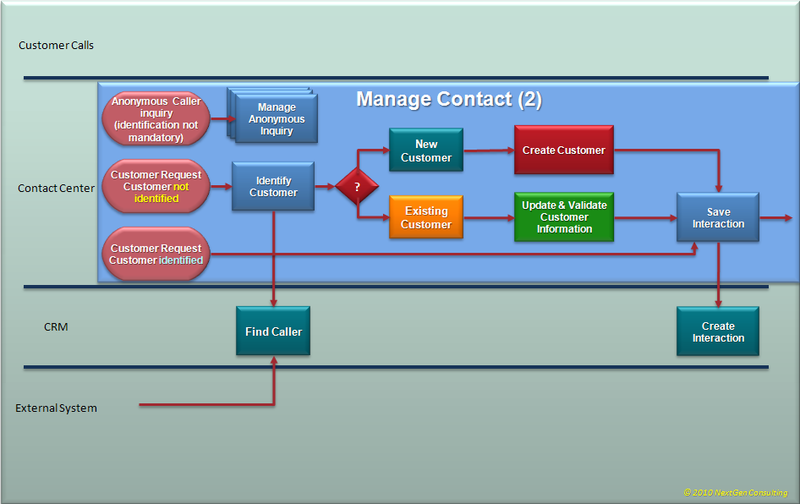 Although legacy Clarify provided a Call Center module (Clear Call Center), it appeared that the data mode used for CCC (Clear Call Center) was inefficient nor flexible (i.e. – it created a Case record for each interaction). A completely new data model and supporting UI screens and logic were introduced. 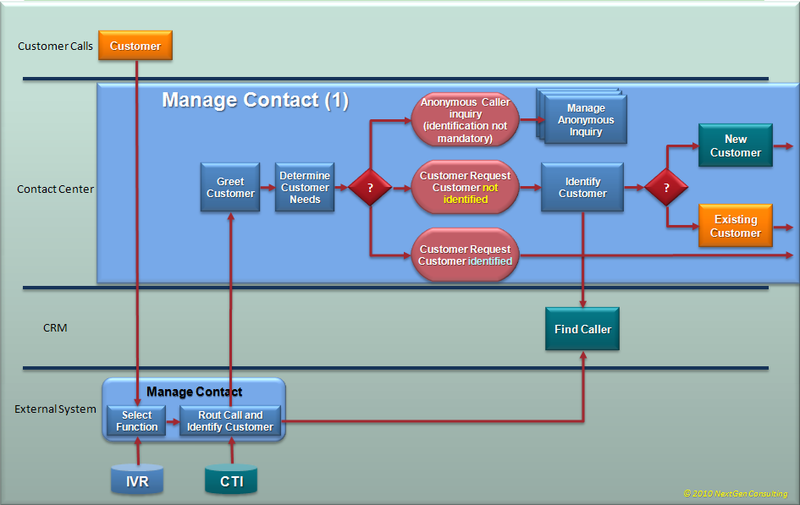 The CIM model creates a light Interaction record for each interaction with a customer. An interaction is NOT a workflow object, but merely a data record that stores the following call related data: Title, Notes, Direction (outbound, inbound), Channel (800), Media (call, email, or chat). 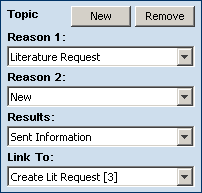 Each Interaction is related to one or more TOPICS. A topic is an issue raised by the caller. 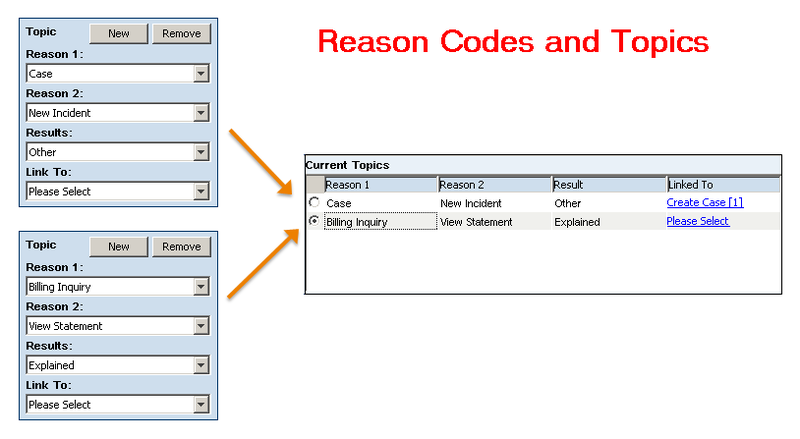 Each topic is categorized by at least two call reasons (identifiers), a possible, not mandatory, linked related Workflow object (such as Case), and a result code. 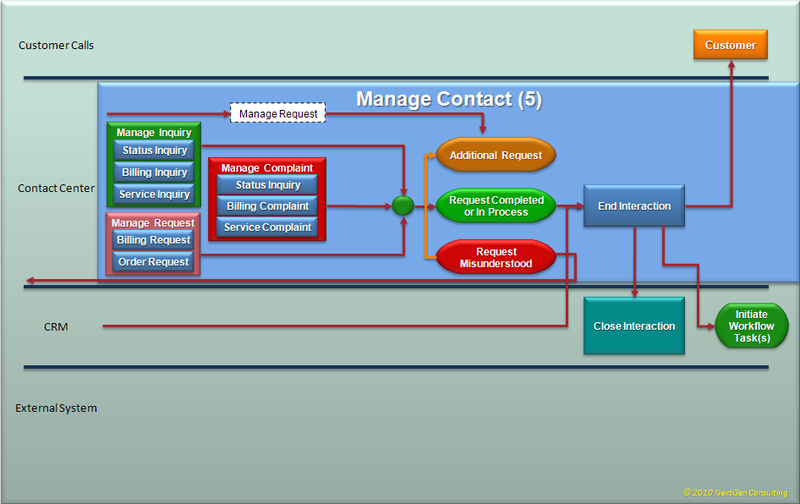 In practice, each topic may potentially initiate a call center process, such as an Order. One of the most important CIM features is the ability of the call center agent to handle several interactions simultaneously. Each interaction with a caller is identified by caller’s name. The agent can toggle among several on-line interactions (each has its own different caller) while holding the caller on the line. When switching from one interaction to another, all interaction related data and UI is automatically switched as well and exposed to the agent. An interaction can be used with an Anonymous Caller as well. AmdocsCRM now supports a sophisticated integration module with external Interactive Voice Recognition (IVR) systems. It allows call center agents to accept calls, put calls on hold, transfer calls among them etc. All IVR control is performed from the agent’s desktop. It also supports alternative media such as conducting a live chat etc. The multimedia integration also allows passing IVR parameters automatically to the interaction screen. 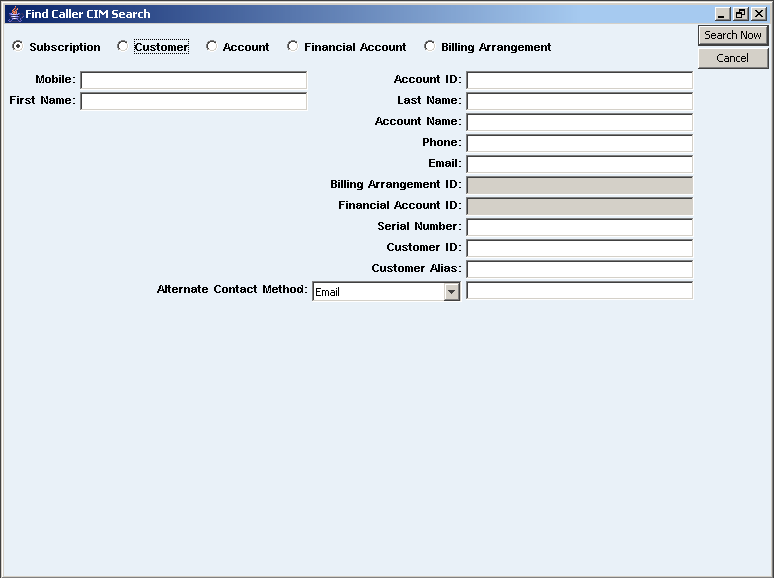 As of release 7.5, ordering module UI and front end logic is integrated with CRM UI. 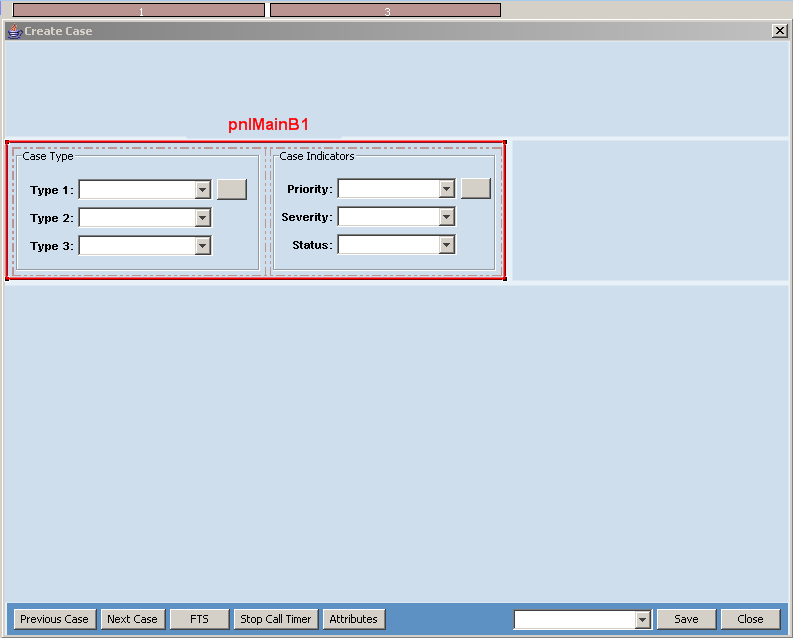 It is possible to initiate an order process directly from CRM interaction screen with a single button click. Tracking service level agreements (more on this in a separate post). Control UI and backend permitted user activities according to their Global, Group or User Roles. (See more on this in Role Based Authorization). Case types are not only 3 keyword identifiers stored with a case record, but a whole definition which allows different screens to popup according to the type of the case. Yes – in order to support all above changes (and many, many more) Amdocs have added significant enhancements to the underlying data model. The ‘ClearSupport’ module is a separate module from ‘Customer Integration Manager ‘(CIM). They use completely different (although compatible) data models. 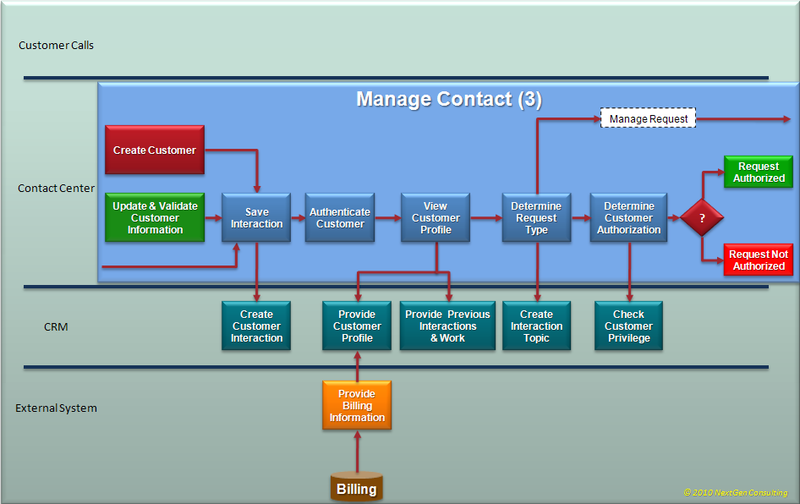 You should regard the Customer Interaction Manager module as an enhancement to the Support module. From business process perspective, any customer call starts with the ‘Customer Interaction Manager’ to handle the call (interaction). 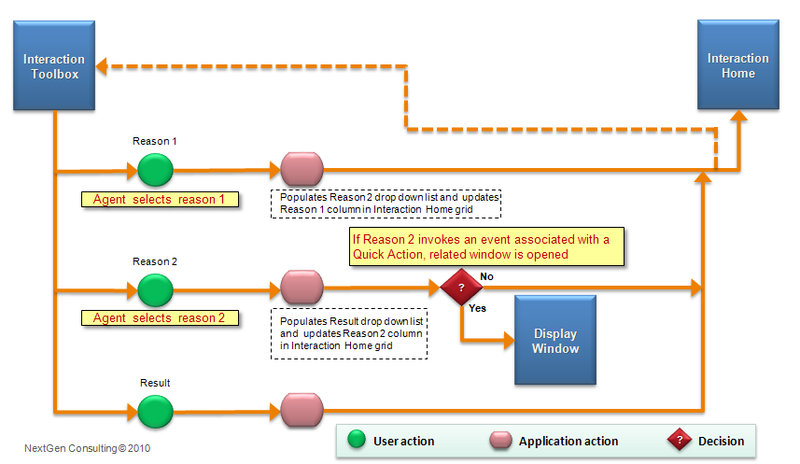 An interaction may, or may not, propagate to a process handled by the Support module (i.e. a service call). For example – if a customer calls to ask a question and immediately get an answer, only Interaction record needs to be created, no Case is created (this is sometimes called ‘Done in One’). 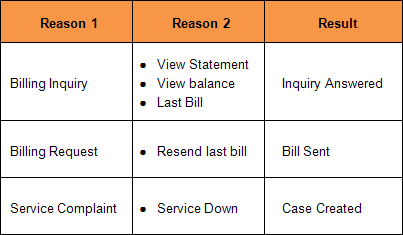 On the other hand, if a customer calls and complaints about a service, or a billing issue, where the issue can not be immediately resolved, a process needs to be initiated to handle the issue. 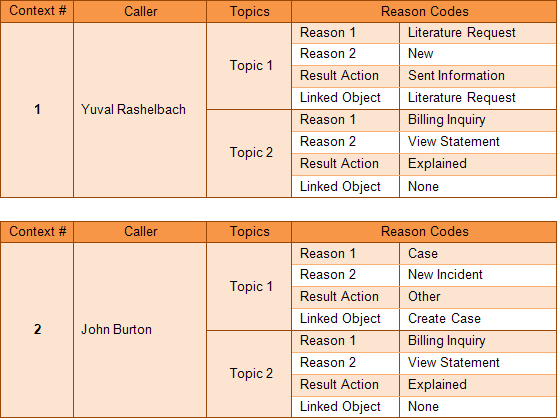 A Case record is then created, and the Support module handles this Case according to its type until the issue is resolved and the Case is closed.